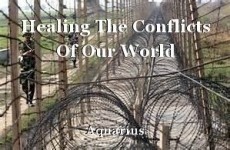 This part of my work is dedicated to the healing of all conflicts, personal as well as national and international ones. Astrology – Science Or Art Form? Is Friday 13th An Unlucky Day?